SECAUCUS, NJ, – Secaucus, NJ’s Harmon Meadow took another step towards cementing its status as Hudson County’s premier live, work, play destination with the launch of The Harper at Harmon Meadow, a new luxury rental community rising within this well-known shopping, dining and entertainment complex. While The Harper at Harmon Meadows’ Secaucus address offers a more tranquil setting than its more densely-developed urban neighbors like Hoboken and Jersey City, the community still provides considerable commuter convenience. The property offers a NJ Transit bus stop right at your doorstep with several buses including the 320 whisking riders to Port Authority in Manhattan. Complimentary shuttle service to the Secaucus Junction train station with service to Manhattan and throughout New Jersey will be available, while an onsite NJ Transit ticket vending machine will add another level of convenience. The Lincoln Tunnel is just three miles away and The New Jersey Turnpike North and South, Route 3 East and West, and Route 1&9 North and South, are immediately accessible from Harmon Meadow. Residences at The Harper feature a bright, open layout, full-size in-home washers and dryers, spa-inspired bathrooms, and ultramodern kitchens with granite countertops, center islands, and stainless-steel Energy Star® appliances. 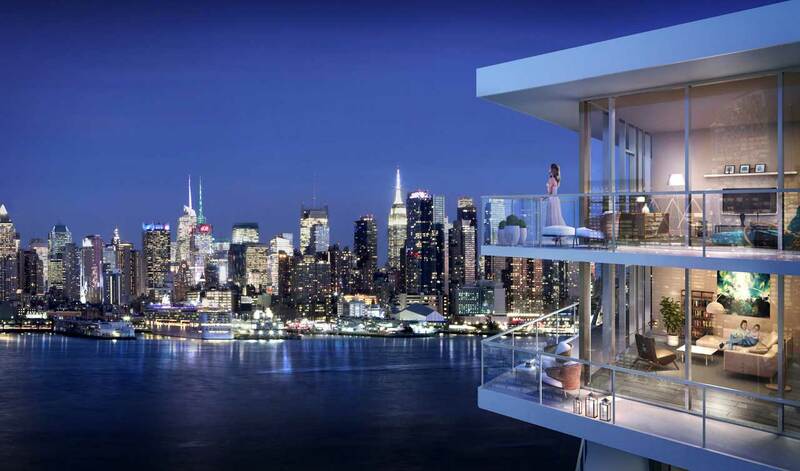 Select homes offer stunning views of the New York City skyline. For more information on the community and to schedule an appointment to tour the model apartments and amenity spaces, visit http://www.TheHarperApts.com, or call 201-957-0368. The onsite leasing center is located at 100 Park Plaza Drive, Secaucus, NJ 07094. Headquartered in Secaucus, NJ, Hartz Mountain Industries, Inc. owns and manages one of the largest privately held commercial real estate portfolios in the United States that comprises more than 250 properties totaling more than 38 million square feet in the northern New Jersey/New York area, Atlanta, North Carolina, Maryland, Seattle, Austin and Chicago. Founded in 1926, Hartz has evolved into its current model of a diversified single operating company, and strives to remain at the forefront of commercial, industrial, retail, hotel, and residential development by employing a comprehensive approach to real estate that is facilitated by its full-scale in-house departments for leasing, management, finance, acquisition, architecture, construction, development, planning, marketing, design and property management. For more information, visit Hartz’s website at http://www.hartzmountain.com.